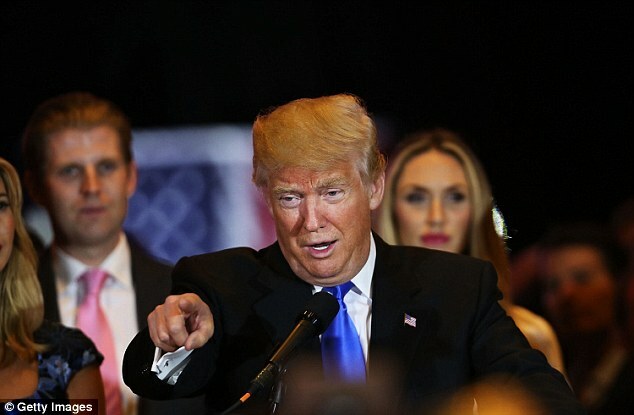 Presumptive GOP nominee Donald Trump doubled down on his call to ban non-American Muslims from entering the United States even if the stance causes problems going forward in the general election. ‘They’re destroying Europe, I’m not going to let that happen to the United States,’ Trump said this morning during an interview on Morning Joe. The Donald was taking a victory lap after his chief rival, Texas Sen. Ted Cruz, threw in the towel last night after a disappointing showing in Indiana. Ohio Gov. John Kasich is expected to suspend his campaign later today. That leaves the brash billionaire the only man standing on the Republican side, with six months to wage battle on the likely Democratic nominee, Hillary Clinton, who – despite Bernie Sanders' win in Indiana last night – has an almost insurmountable delegate lead. Generally, in politics, the nominee will shed off some of his positions that are more in line with the party's base in order to be palatable to the general public. But on the Muslim ban, which is likely Trump's most controversial position, he's not budging. 'I don't care if it hurts me,' he told hosts Joe Scarborough and Mika Brzezinski.